Is so beautiful! I think that I`m seeing the LIHGT in the photo.A good photograph. My congratulations, Cloud. I love tree shots, and this is great! 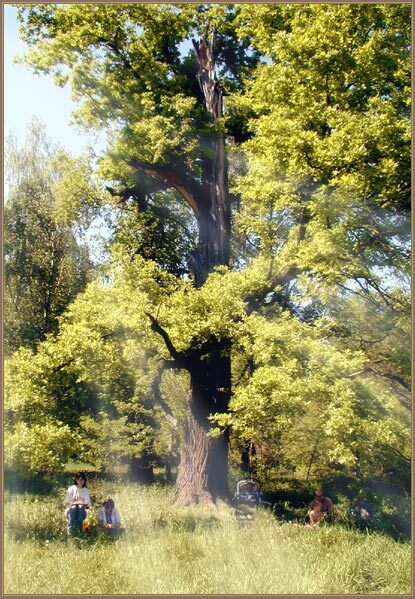 The people on the left help in giving perspective to the size of this venerable tree. the venerability of tree or the scale of generations close-up. Лучи как раз на месте... А вот нужны-ли люди - не уверен..